red cabbage – Damn, I Can Make That! Fish tacos are one of my absolute favorite summer meals (with a margarita, of course). I mean, you can’t go wrong with burgers and hot dogs, but fish tacos are the real treat. I first had them at a seafood restaurant in East Hampton with our friend Tara. At the time, I only ate salmon and these were made with Mahi Mahi. I was skeptical. But once I took my first bite it was heaven! 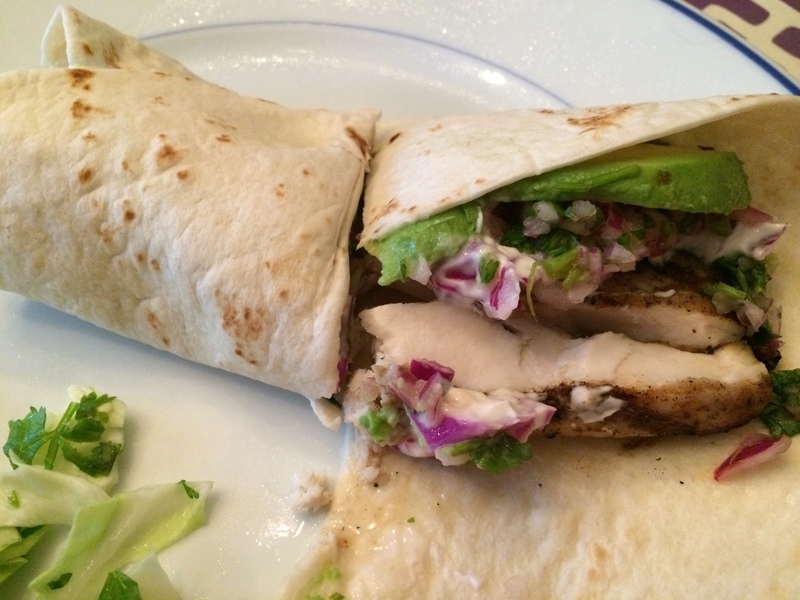 Just like our crabby cakes, I always thought fish tacos would be too daunting to make – would I overcook the fish?! Would the sauce come out just right?! Well it turns out they were much easier to make than I thought. We’ve been doing a lot of grilling this summer and we started running out of new options so I figured, “what the hell?”. Season the Mahi Mahi with the chili pepper, cayenne and salt, and grill for 15 minutes – approximately 7-8 minutes on each side. While the fish is grilling, in a small bowl mix together the cilantro, onion, tomato and lime juice. In a separate bowl, mix together the yogurt, mayo, cabbage and lime juice. When the fish is just about done, warm the tortillas on the grill. Layer the fish, sauce and salsa in the tortilla and enjoy!